Bred to be a “using” horse with a Cadillac ride! Athletic, agile, gentle, super willing, and extremely intelligent! 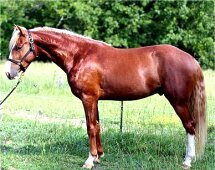 Selectively bred from some of the oldest gaited ranch stock horses in the Ozarks with a stellar pedigree traceable back to 1623! Pharaoh traces to the worlds finest equine specimens in every generation for centuries. 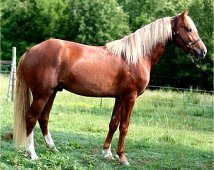 He is bred to produce reining horses, stock horses, gaming horses, model, trail and pleasure horses. Pharaoh tests positive for the SB 1 Sabino gene and puts chrome, beauty, symmetry and ability on his foals. He is a smooth mover with a natural foxtrot, flat walk, running walk. He canters true and gallops well. 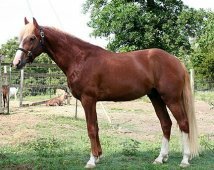 His sire tested second in the world against more than 1,000 gaited horses world wide on the Brazilian Analoc E gait testing machine. He never had a day of gaited training in his life! Pharaoh brings that smooth, natural gait into the realm of athleticism for a using horse with a glide ride and style! Comanche 'Wildfire Z. Missouri Traveler's Nikki Do. M.
Snipsie C. Banner's Rocket T.
Missouri Traveler's Nikki Do. M. Missouri Traveler E.
Paul's Baldy Missouri Thunder F.